What a lovely summer we have had, everything has really benefited from those long, warm, sunny days – fruit, vegetables, flowers, birds, animals, insects and of course ourselves. During the school holidays Thomas has spent a lot of his time catching and identifying butterflies, moths and insects with the sweep net that I bought from our local hardware store, it is very similar to a fishing net but the net is about 3 times deeper and is pointed at the end. We have taken it with us on walks, visiting friends and family, on holiday, to the coast, in the fields, woods, meadows and up hills and it’s been brilliant and really interesting learning which species live where and which are the most/least common. The insect world is vast there are thousands and thousands of species out there just waiting to be explored so why not get out on a warm, dry day and see if you can catch some, if you haven’t got a sweep net have a go with a fishing net I am sure you will catch something. As the weather has begun to get cooler and nectar rich flowers are becoming less available now is a good time to provide some extra food and a safe and dry place for our wonderful insects to roost and hibernate, we have put up a Butterfly/Bee Nectar Feeding Station next to our Buddleia Bush, whose flowers have nearly all gone to seed, and I think I might put up a Butterfly & Moth Feeder nearby too, as well as being a feeding station the insects can also roost and hibernate inside on the cassette which can be lifted out so that you can observe your guests as they rest . 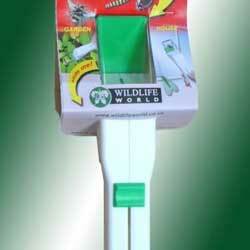 If you want to catch and identify insects and bugs why not have a look at the Catcha Bug Catcher this clever little device allows you to catch them and easily observe them through the clear sides then release them without harm, it’s very handy for re-locating those large house spiders in the Autumn! If you are interested in attracting butterflies and moths into your garden click here for lots more information. Why not have a go at catching moths in your garden or school garden click here for full details. Why not play your part in increasing and preserving our beautiful wildflowers by joining The Recycleworks Wildflower Seed Project 3013/2014. Schools or Community Associations that support children can register FREE and they will receive 5 Seed Collecting Tins to store their valuable seed until the spring followed by instructions of how to sow and grow their wildflower seeds. 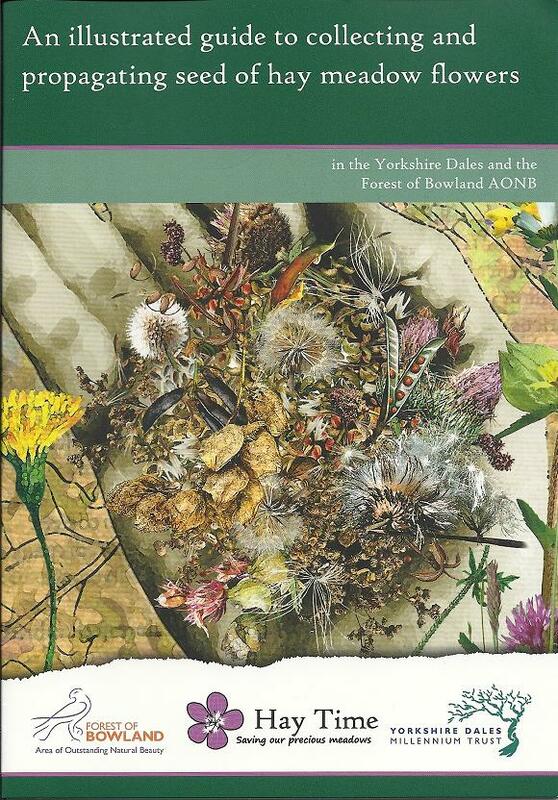 This year, while stocks last, we are giving away to each new member of The Recycleworks Wildflower Seed Project 2013/2014 a beautifully illustrated guide to ‘Collecting and Propagating Seed of Hay Meadow Flowers’ which has been produced by The Yorkshire Dales Millennium Trust, who through their Hay Time Project work with farmers and landowners to restore meadows in the Yorkshire Dales and Forest of Bowland that have lost some of their wildlife value using seed harvested from nearby species-rich donor meadows, they involve volunteers in their work and provide educational opportunities for schools and the public. The full colour guide shows hay meadow plants in flower, their seed heads/pods and their seed as well as information on seed collecting, storage and propagation. Click here for more information on The Recycleworks Wildflower Seed Project 2013/2014. Collecting seeds is a wonderful thing to do with children, they will learn where seeds come from, and not only be rewarded with free seeds but also lots of free plants in spring and with the satisfaction that they have grown them themselves from ‘their’ seed. Some of the most rewarding and valuable seeds to collect are from Wildflowers and Nectar Rich plants which provide food for our bees, butterflies and pollinating insects, by growing these you will be giving back to nature and enriching your environment. Here are some of the many plants that are beneficial to insects: Buddleia, Ox Eye Daisy, Borage, Verbena Bonariensis, Evening Primrose, Calendula, French Marigold, Teasel, Thistles, Foxglove, Cornflower. The best places to find wildflowers are in uncultivated areas such as on grass verges, under hedges, on the edges of parks/playing fields (where the grass cutters can’t reach), church yards and meadows. Nectar rich flowers can usually be found in gardens. You may need to ask the landowners permission before entering their land to collect seed. You will need paper bags or envelopes, scissors and a pencil. Some seed heads will shed their seeds very easily, simply empty their contents into your bag, or cut off the ripe seed head/pod and place in your bag then write the plant name on the bag, the date, the place and also where it was growing in sun/shade or in dry/wet soil this will help you when you grow your new plants next year. If some of the seed heads/pods are damp, lay them out on paper to dry before removing the seeds. If you are not sure of the name of the plant cut off the seed head/pods and a leaf or take a photograph so that you can identify it later. Some of the seeds will need to be cleaned by removing the husk and extracting the seeds from their pods/seed heads as these may contain small insects too. Place your dry seeds in a cold, dry and dark place until February/March. This can be in a container in the fridge so that they go through the natural cold winter conditions. It can be in a sealed tin (which will protect them from insects and animals) in the shed, but dry, cold and dark is important. If they get wet or warm they may start germinating and if it is too early for spring they will not survive. Some seeds can be toxic, take care when collecting seed and always wash your hands thoroughly afterwards. Make the most of the warm Autumn days and collect some wildflower seeds. 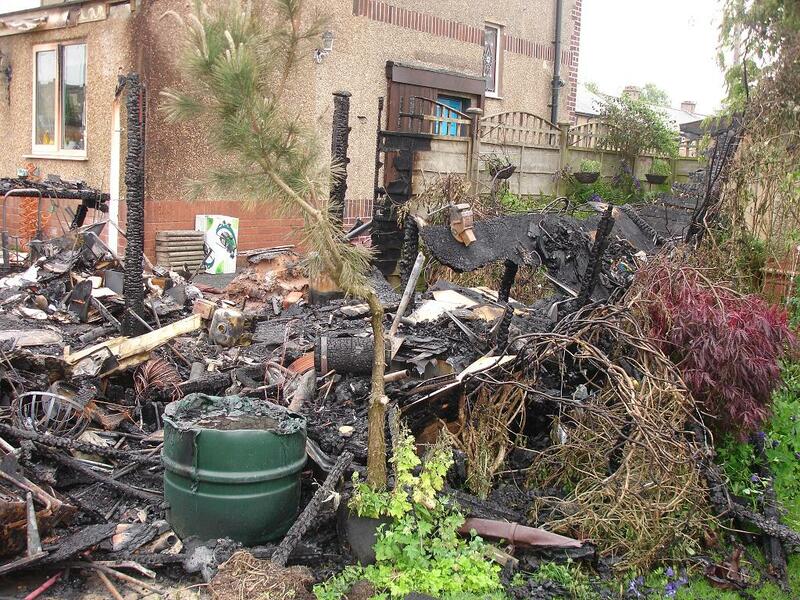 Life is full of ups and downs, the big plus this year has been the weather but on the downside at the end of June, our garden shed caught fire and burnt down completely to the ground along with all its contents. The shed was full, as I am sure most of yours are, it contained a vast number of DIY tools and accessories, fishing equipment, garden furniture and most of my gardening tools and sundries. As we watched the flames, our feelings were of disbelief and despair which then changed to shock and loss the next day as it all became ‘real’, although 99% of the items will be replaced there are certain treasured items that simply are irreplaceable. I cannot live without …. My long handled fork, and spade are two items that cannot be replaced like for like they belonged to my grandparents, who were both keen gardeners, they had smooth, warm and very comfortable wooden handles, the metal fork tines and spade head had been worn down by a third of their original size making them an ideal size for me to use. My secuteurs, hand fork and trowel, are the tools that I use the most, I always keep them handy when I am in the garden or on the allotment, the fork and trowel were stainless steel and had wooden handles, I shall choose the same again as they are strong and very comfortable to hold. My rake, was mainly used on the allotment for levelling soil and creating a fine ‘tilth’ ready for planting and sowing seeds whilst being invaluable in Autumn for collecting fallen leaves. My garden kneeler will definitely be replaced, it is surprising how much stick your knees take, you only have one pair so look after them. My gardening gloves, I didn’t use to wear gardening gloves when I was younger but now I cannot do without them they protect my hands and enable me to handle prickly plants or rough objects. My trusty trug is where I kept all my hand tools in one easy to find place, it then doubled up as a weeding bucket when on the allotment. There are so many other bits and pieces many of which you don’t realise have gone until you need them. There are quite a lot of items which I will not be replacing like for like some of which we inherited with the house and some which I am afraid to say I bought when we began work on our overgrown and neglected garden. Slugs were are huge problem initially, as well as picking them off I used to put down blue pellets to control them but since learning what a harmful and devastating effect they can have on animals, pets and birds the tub stayed put on the top shelf, to control any future slug problems I will now be using Slug Gone or Nemaslug. In the shed there were quite a lot of harmful pesticides in small numbers aphids and ants are not such a problem and provide an easy meal for the birds but as numbers can quickly multiply I shall make sure that I have some Nemasys No Ants handy. Vine weevils can really be a problem and it is usually too late for your crops when you discover that you have them, they are quite difficult to get rid of and thrive in pots and containers Nemasys Vine Weevil Killer will definitely be on my shopping list. I shall not be replacing the weedkillers that we initially used to clear the garden. Now that it is heavily planted there are very few weeds about, those that appear I tend to leave, weeds are actually wild flowers many of which are beneficial to insects, although on the allotment weeds do need removing as they compete with your crops for light, food and water I shall be investing in a weeder and continuing to doing the job by hand. Our garden is very much a wildlife haven containing nectar rich plants, wild corners, a pond and a variety of bird feeders, these attract and provide habitat for hoverflies, beetles, hedgehogs, frogs and birds who happily eat my unwanted pests. Many of us have tools/items that are special to us and we really cannot live without if you do then why not let Sylvia know and you could win a fantastic prize see below for full details. Imagine you have been shipwrecked on a Desert island and you will have to grow your own food. The wild crops you find on the island already will not give you a balanced diet so you will have to create a garden. You can grow anything in your garden that you can grow at home. You are allowed to take one gardening item with you. What will it be? What is YOUR most important ‘thing’ when you are gardening? Have you a single inanimate gardening object you would take with you to your desert island? Send your entry to sylvia@recycleworks.co.uk and we will pick out a winner on 30th September. Multiple entries – one entry per email address. It can be something you inherited from a great aunt. It can be something you made for yourself. It can be something new or old but to win it needs to be something that you as a gardener would never want to part with. Enter over the month of September and the winner will receive a prize of a Superior Long Raised Bed 30cm deep and 4 bags of Vegetable Compost. Editor’s decision final. We will look at all the entries and award to the entry we like the best.